Material defects can be the difference between making money and not making money using the Internet and ICIWorld services. It is the difference between generating leads or not generating leads off the Internet. Once fixed most things run on auto pilot. 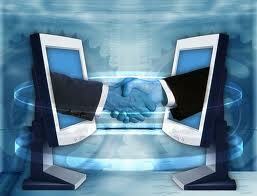 Things will run smoothly generating leads for you to do business! Just book an appointment for a personal one on one workshop and we will help you. This is your service. All these services you can liken to driving a car. If there is something wrong and not working right with your car you make an appointment at the dealership to get it looked at and fixed. The same is true here. You are the driver of these information services. You are in the driver seat. 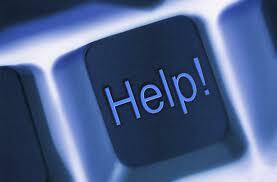 If someting is not working either on your own website or the ICIWorld website, you need to inform us so we can fix it. There is a lot of money to be made in real estate and particularly real estate business generated through the Internet. See the deals being done! Some things can be fixed within a matter of minutes! is your web site optimized and is it even setup properly? We will give you feedback and make recommendations. (2-10 minutes) Would you like our feedback on this for your consideration? Also consultation provided free for non members. do you have the revenue producing links on all your web sites? The links supplied working automatically updating your web site with 50-100 new listings daily and you do not have to do a thing. You will have 15,000 listings on your web site in a way that generates leads for you! Without it you are missing opportunities to generate leads, do referrals and direct business and you do not realize it. Now you do! ( 2 min. to demo this. It is inevitable for you to generate leads to do referrals and direct business the rest of your life) Would you like our feedback on this for your consideration? Are your web sites linked together? (2 min. to demo) Would you like our feedback on this for your consideration? Check all links. Are they working? Just because they were there when you started does not mean they are working now. Glitches in the Internet, not logging in every month, human error, and more can result in No Listings Found. No wonder some are not getting calls. Call us now to fix. RE: addresses properties advertised on your web site by other brokers who have allowed them to be on your web site. If a new prospect visits your web site and they see listings and they see an address, are they going to call you first or might they drive by the property first because they have seen the address on your web site? If they drive by the property and they see a sign from the other broker on the property might they call the other broker? If they do a deal with the other broker does that other broker call you back and say thankyou? This is simply a difference of professional opinion. See us to fix this problem properly. Again this can be like a light switch turning on, all of a sudden you can start to get leads trickling in. do you have fifteen Haves and Wants on ICIWorld? Every single member should have fifteen or your are not working to your potential. We show you how to work information not just listings and get fifteen within 90 days! For every member residential AND commercial! Are your listings up to date ie: modified every 30-60 days and in no event longer than 90 days old. People work the top half of the database and get too busy to get to the bottom. Have you chosen the right Business Categories and Business Area, put in the proper price in the price field, square footage if any in the Building Area Square Foot field? Would you like our feedback on this for your consideration? do you have the key words in the subject line that help people find your kind of business? Missing one word means people can miss seeing your listing and you miss doing a deal and do not even realize it. have you searched both Database 1 and Database 2 the For Sale By Owner Area for buyers and sellers and what they want to buy and sell? are you aware of the three questions that help members do among the most deals reported on the Internet? It will help you get to fifteen opportunities on ICIWorld that you never had before! This becomes inventory on the Internet and it triggers calls for you to show property! do you know how to get into a Daily Webinar Workshop or what is a Webinar? are you aware of all the deals that are going on? See testimonials. Do you treat the listings as an opportunity to network with the people behind the listings? Do you know how to search Active Listings only. Are you aware of the status field? are you logging in to your web site a minimum of once per month for five minutes and looking after your To Do List? Do you know why you must? Do you know what you are missing if you do not? Once you are all setup do you know how much time is required to maximize your opportunities to do business? have you placed all your properties on both ICIWorld and your web site? Do you know what you are missing if you do not? have you attended by Webinar How To Promote Your Web Site including SEO (Search Engine Marketing)? What good is a web site if you have no traffic. (90 minutes however it is something you will work on the rest of our life) Do you know why we recommend this every month? Do you know this is available on youtube videos? Do you know where they are? is your web site coming up in the search engines of the world? With the key words for the kind of business you like to do and where you would like to do it? Would you like our feedback on this for your consideration? have you been doing referrals and/or direct business? Have you been making connections? If not why not? Have you gone longer than 90 days without calling us or getting into a Webinar Workshop? This is a measure of getting the Internet to work for you. 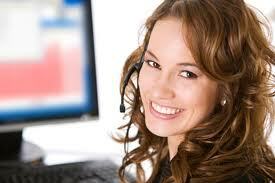 Do you realize you must call us if you are not doing some kind of business every 90 days or generating leads. Do you know why? Are you developing good business relationships that lead to doing business or just asking people to email you information? Are you calling and talking to people on the phone or just sending an email? each year we like to do a minimum 15 minute consulting session for every member. Have you called us to go over your Executive Membership? Have you really thought about a proper streamlined Internet marketing plan? Would you like our feedback on this for your consideration? Time. Do you realize most things work automatically once set up but there is some investment in time to set things up. Do you know what three things you must do throughout the month to make things work? are you generating and doing referrals. If not why not? Would you like our feedback on this for your consideration on how it is being done? do you send all your buyers to your web site to look for residential or commercial property? Do you have thousands of listings for them to see? Are they seeing listings properly? Would you like our feedback on this for your consideration? do you program your web site to send out new listings to your prospects? If not, why not? Do you know your web site can send out listings automatically? Do you tell people about your web site, what is on it, also the fact they can receive listings from it that match what they are looking for? have you checked all the links on your web site to see if they are working? Would you like our feedback on this for your consideration? Almost all people fail a password and phishing test. Do you know how to design a good password? Do you know what phishing is? If you don't it is like driving a car and you do not know what a stop sign is. See Security. do you have any concerns about anything and have you called to chat about it? Did you realize that we are a marketing and information assistant specializing in helping over 1,000 salespeople and all you have to do is call us for quick and vital assistance to get the Internet and networking working for you. 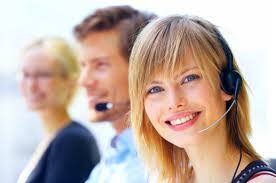 Please consider us a personal marketing and information assistant to you personally. We help members with all of the above recommendations. When items above are fixed it can be like switch turning on to start generating business. All of a sudden you can begin to get extra leads from time to time to business and referrals. One transaction or referral pays for a lifetime of service. Ten years on ICIWorld at 240 per year is only $2,400. Referrals alone on ICIWorld average $3,000 to $10,000 and more. Can you see why it is absolutely inevitable every single member do business? You are simply missing some of the above items. Become an expert. Learn about our Training with resource videos designed to help all aspects of services and get registered into a 30 minute workshop Daily Webinar Workshop. Do you know there are three kinds for Webinars? It is members like you through their testimonials who have inspired us to grow the service. We look forward to hearing about your testimonial. We appreciate your feedback, advice and suggestions. This is all included in your Executive Membership! Every member makes connections to do business a minimum of every 90 days or you call us . 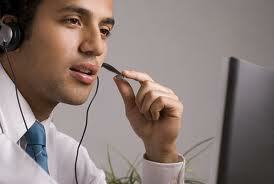 . . is supported by Daily Webinar Workshops.